BOSTON, Massachusetts — When Ariel Burger was 17 years old, he told his father he wanted to be a saint. Preoccupied with the concept of perfection, Burger was on a quest to find answers to life’s vexing questions. Having received what he called “mixed messages” about Judaism from his divorced parents, the aspiring rabbi decided to move to Israel. For seven years, Burger immersed himself in Jewish texts and sought guidance from rabbis. During his undergraduate years, Burger had been a student of Elie Wiesel at Boston University. As a matter of fact, Burger choose to attend BU because of Wiesel’s deep ties to the institution. So, when the two met in Jerusalem during Burger’s post-college, seven-year yeshiva sojourn, the student was comfortable opening up to the teacher about his frustrations. Specifically, Burger told Wiesel he was not satisfied with the answers he was receiving during conversations with rabbis. 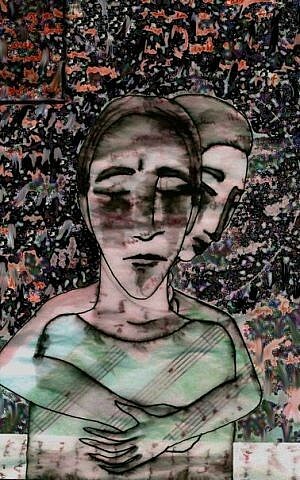 Deep spiritual growth seemed to elude him, he said, even while immersed in Jewish texts and surrounded by well-known thinkers. Not for the first time, Wiesel knew how to help Burger “re-frame” his thoughts. In a nutshell, Wiesel suggested that Burger might be looking for something less concrete and final than “answers.” Perhaps, Burger was looking for “responses” to his questions, fears, and aspirations — in other words, responses to his life. “Answers close things down, responses do not,” said Wiesel, who died at age 87 in 2016. In Jerusalem, the author helped Burger see his challenges not as roadblocks to spiritual growth, but as helpers in achieving that growth. “I began to see life and experience not as obstacles to spiritual growth but as the language God used to communicate with us,” wrote Burger, who now lives outside Boston with his family. 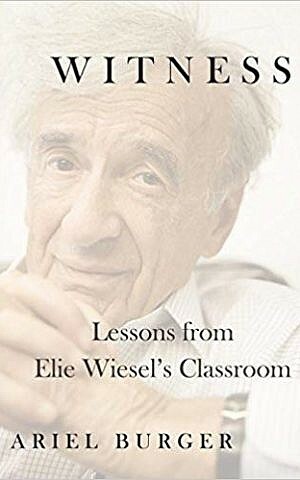 There have been quite a few biographies about Wiesel, but this is the first based on the late Holocaust survivor as a teacher. Other authors have focused on — for example — Wiesel’s prolific writing career, or his global activism for human rights. 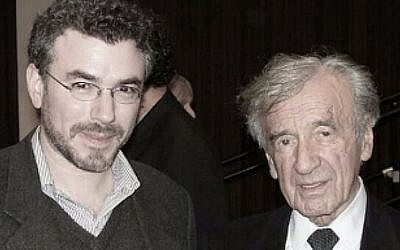 Although Burger first met Wiesel as a 15-year old, most of the book takes place during the five years in which Burger served as Wiesel’s BU teaching assistant, a period that ended in 2008. Based on five years of journal entries and piles of classroom notes, “Witness” follows Wiesel’s personal interactions with Burger, as well as how Wiesel related to the students chosen for his intensive seminars. Perhaps surprisingly, the Holocaust was rarely a major focus of Wiesel’s seminars on ethics or historical memory. Sometimes, the only Holocaust-related book on the reading list was “The Diary of Anne Frank,” and the professor’s own works seldom appeared. 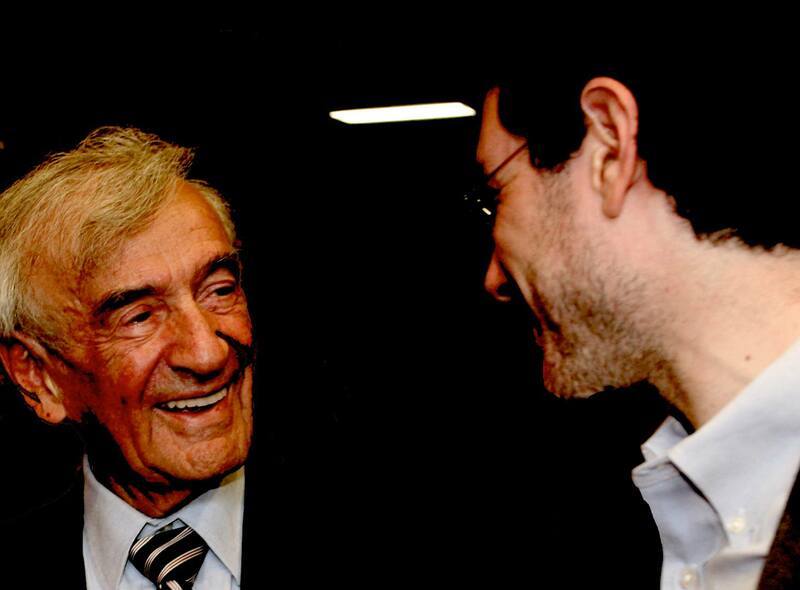 Wiesel made use of texts from many eras and cultures, all of which he helped students connect to current events and ethical behavior. Wiesel and Burger’s relationship far exceeded the probing of Jewish texts. 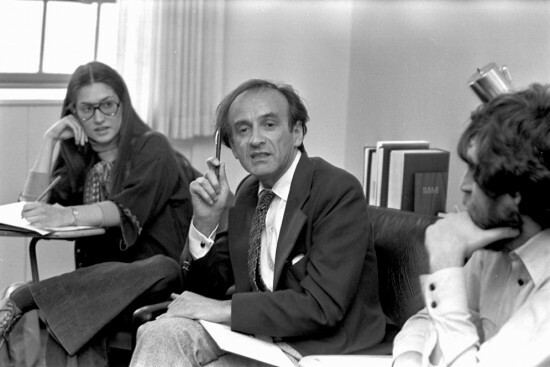 The book reveals several turning points in Burger’s life during which Wiesel provided guidance, ranging from marital issues to the difficulties of being a Jewish educator in bureaucratic systems. In all of these encounters, Burger attempts to bring the venerated Wiesel down to Earth for readers. “He loved chocolate, was afraid of policemen, never learned how to swim, and didn’t like celebrating his birthday,” wrote Burger. He called Wiesel an “anchor” during the trials of his life. For both the teacher and the student, an issue of overriding concern was how to keep one’s faith in a world beset by evil. “If I had not had my faith, my life would have been much easier,” said Wiesel on many occasions. With his typical wryness, Wiesel was pointing to the difficulty of integrating his experience during the Holocaust with his belief in God. After the war, as soon as Wiesel had access to books again, he opened a Talmud to the same page he had been studying before the Nazis deported his family to Auschwitz-Birkenau. From among the Bible’s narratives, Wiesel found the Book of Job to be the most personally relevant. In Job, Wiesel could see himself — a servant of God who had everything taken away from him, but who refused to give up his faith. Job argued with God, but he did not forsake his faith and validate Satan’s belief that he, Job, would cave-in. “To renounce despair is an act of will. And it is the only way to continue and be able to confront, to resist, darkness,” wrote Wiesel. Although Wiesel’s Holocaust experiences are not a primary focus of “Witness,” Burger demonstrates ways in which Wiesel, a Nobel Laureate, sometimes brought the voices of victims and survivors into the classroom. “Wiesel frequently pointed to the Jewish victims of the Holocaust who, hiding in bunkers from the Nazis, scratched their names into the walls and wrote invisible messages in urine, who buried manuscripts in tin cans under the ghetto streets so that one day their names, their words, their lives might be remembered,” wrote Burger. Of all the questions Wiesel’s students asked him over the decades, the most common had to do with how — and why — Wiesel maintained his religiosity after the destruction of his family in the Holocaust. “You must turn hate into something creative, something positive,” was one of Wiesel’s responses. He modeled this approach for his students, including when Wiesel publicly forced the hand of president Bill Clinton to intervene in Bosnia during a well-remembered speech outside the United States Holocaust Memorial Museum in 1992. A modern-day renaissance man, Burger’s professional hats include rabbi, artist, musician, and poet. Only in recent years, though, has he learned to meld these facets into an interconnected whole, he told The Times of Israel in an interview. “My teaching almost always involves a deep dive into text, whether a religious text or literary work, but increasingly it also centers on questions of ethics and application,” said Burger. These days, Burger said he is responding to what he called “the new American moment of 2016,” which includes tackling issues of bullying and public discourse. 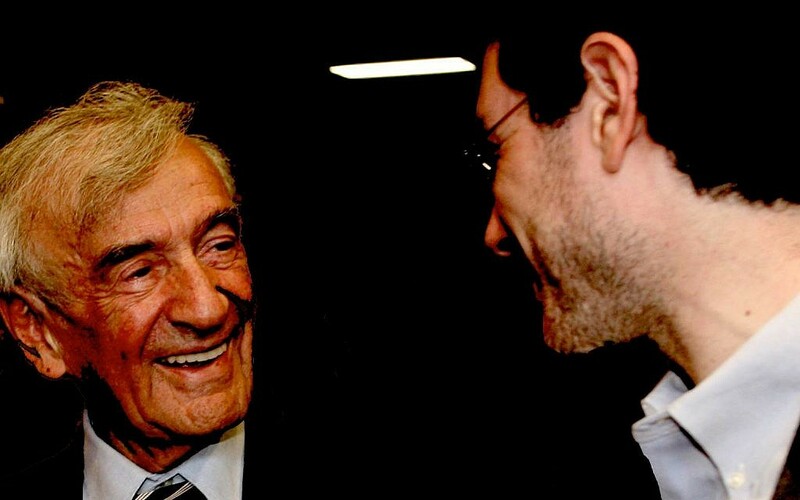 Without his lifelong mentor Wiesel to guide him, Burger has given thought to his teacher’s views on perpetuating Holocaust memory in the absence of survivors. For Wiesel, transforming the murder of his family into something resembling “redemption” involved writing about the Holocaust. But even more so, it involved teaching. “Listening to a witness makes you a witness,” said Wiesel. For Burger, these words translated into his book’s title, and they also helped him find solace after Wiesel’s death. To The Times of Israel, Burger explained how he and other educators can foster Holocaust memory in the spirit of Wiesel’s teachings. “I know that Professor Wiesel wanted to see more education — but not just the transmission of information,” said Burger. “He wanted to see approaches to learning that have a high probability of changing someone’s mind to the point they he or she will respond differently to injustice. In other words, he wanted to see greater investment in effective moral education,” said Burger. 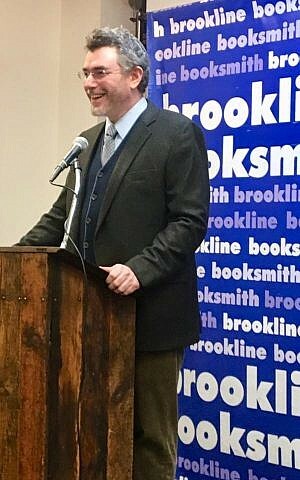 Among the challenges for educators, said Burger, is to teach about the Holocaust “without causing students to despair and turn to apathy as a response,” he said. One of the remarkable traits about Wiesel, said Burger, was his ability to accept other people’s “natures, gifts, and limitations.” Eventually, even Burger let himself off the hook in his quest for perfection and sainthood, he said. In the process of realizing that Wiesel had embraced Burger’s “natures, gifts, and limitations,” the student was able to accept these things himself.